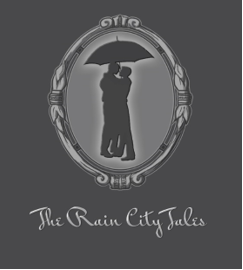 The logo for the Rain City Tales includes a couple embracing under an umbrella for a reason. Except for three months out of the year when the sky is blue, the days and nights are warm, and the tourists are lulled into thinking Seattle is always beautiful, most of the year is a torrent of drizzle, wind, rain, and bone-chilling cold no amount of fleece can keep out. Not one-hundred percent of the days between late September and July 6th (seriously, like clockwork most years) is dismal. In fact, most of these days are schizophrenic. As I write this post, the sky is blue with fast moving puffy clouds. Only an hour earlier the dark and stormy day had been dumping rain. The storm clouds on the horizon are quickly approaching, pushed along by a chilly and constant wind. I’m Yours starts out on just one of those blustery days. Toby Hayden battles the wind and the rain of downtown Seattle on his way to a job interview only to have a gust destroy his umbrella and soak his slacks. Meeting Merrick Hamilton, and his lucky handshake, definitely brightens Toby’s day. The weather doesn’t deter Toby and Merrick from a Valentine’s Day date. Merrick even declines a ride home, opting for the bus after getting rained out from their walk in the park. The storm raging at Toby’s work gives the weather a run for its money, and, unlike true Seattle weather, doesn’t appear to be abating. Though a Seattleite, Toby may not be able to weather this storm. It all depends on his former partner’s reappearance and whether the swirling chaos intensifies, or the controversy blows over and the sun comes out again. The third installment of the Rain City Tales, I’m Yours, is now available for download on Amazon, Barnes and Noble, and Kobo today! Stay tuned for Rain City Tales Book 4: The Wedding Weekend, out in May 2018. You can order the first Rain City Tales story, The Officer’s Siren, here, and the second story, Past Secrets Present Danger, here. 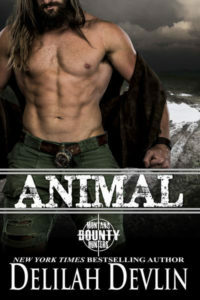 Checkout Brent’s website for more details on upcoming books. Surveying his suit, Toby Hayden frowned at the soaked slacks below the line of his pea coat. Hardly how he wanted to show up to an interview, but he didn’t have much choice. Though the job market had picked up, he hadn’t worked in two years. Each passing day made him less employable, and he was already starting at a disadvantage. “Damn you, Mark,” he muttered. A cloud as dark and threatening as the ones in the sky descended on his mood and self-confidence. The sidewalk lightened, and he marveled at the sudden change in the weather. Sunshine reflected off the glass, metal, and polished stone of the downtown skyscrapers. Fifteen minutes ago, a bone-chilling wind had blasted up the hill of University Street, sweeping a pelting rain sideways. Moments before the clouds parted, a strong gust ripped between the buildings and cracked the thin, metal arms of his umbrella. With a snap, the metal broke and punched a hole in the fabric covering. Now as the wind continued to whistle around the skyscrapers, blue sky promised at least a few minutes of respite from the February storm. The new steel and glass building rose before him, and he did his best to shake off the excess water from his clothes. After depositing his wrecked umbrella into the trash can on the street corner and straightening his tie, he entered the lobby. A young man perched on a stool at the concierge desk — probably mid to late twenties and the most piercing ice-blue eyes — stared through a wavy lock of black hair. The badge on his grey suit jacket identified him as Merrick. 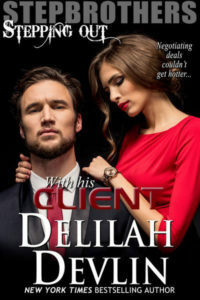 Deciding he didn’t have much to lose, Toby clasped the offered hand. Soft skin squeezed in a firm, but not competitive, grip. For an intense moment, all other sounds and movements disappeared in the bustling lobby. Toby’s focus narrowed to the contact between them and the deep blue gaze that held steady with his. Before releasing Merrick’s hand, he gave a quick squeeze. Their fingers drifted apart, and the sounds of the city returned. Both men slowly let their arms return to their sides.